Item # 316391 Stash Points: 2,495 (?) This is the number of points you get in The Zumiez Stash for purchasing this item. Stash points are redeemable for exclusive rewards only available to Zumiez Stash members. To redeem your points check out the rewards catalog on thestash.zumiez.com. 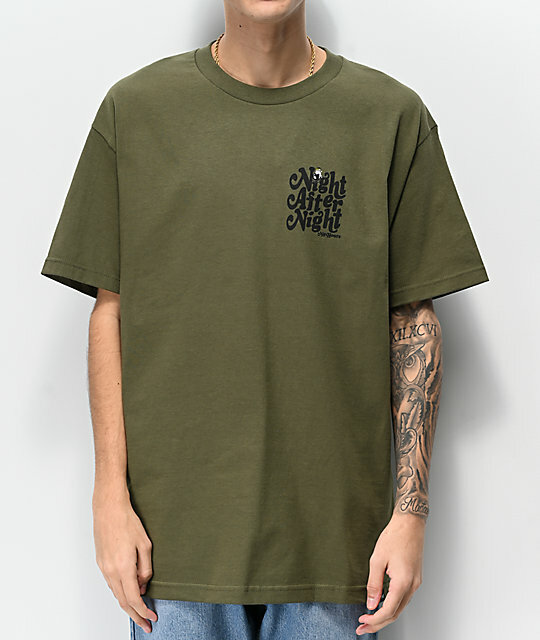 Update your arsenal of graphic tees with the NoHours 8 Ball Army Green T-Shirt. 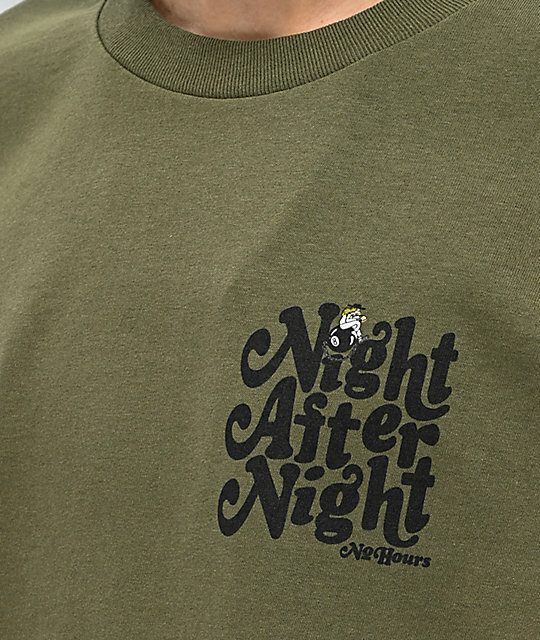 This soft cotton constructed garment features a large graphic on the back of a woman shackled to a large 8 Ball while checking her wrist watch; a striking image that's also been embedded within the logo text upon the left chest. 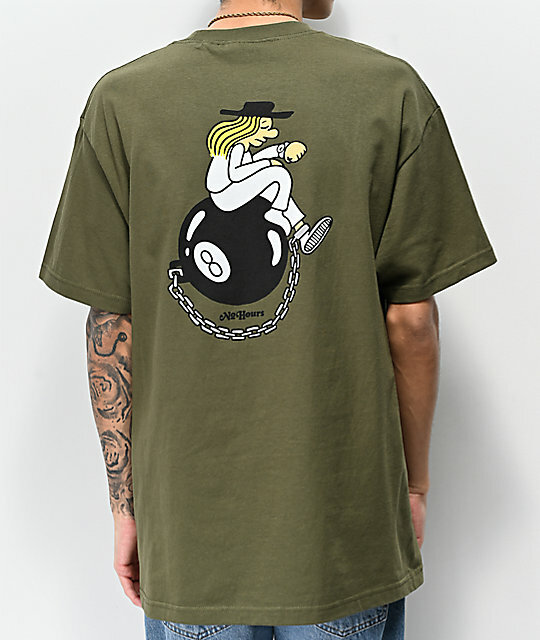 8 Ball Army Green T-Shirt from NoHours.